Love ballet? Well, even if you don’t, you’ll love this rags-to-riches true story: the most inspiring tale you’ll read all year. Wind back in time to socialist China, where eleven-year-old Li Cunxin lives with his desperately poor family. His future looks bleak. 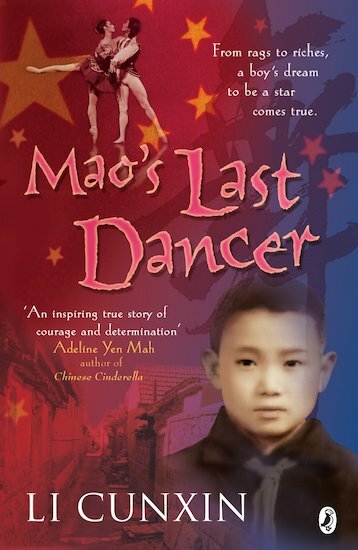 But everything changes when Chairman Mao’s delegates arrive in his village, looking for children to study dance in Beijing. When Li is selected, he is plucked from his family and sent to Beijing’s famous dance academy. Can he conquer his fear and loneliness to become a world-class ballet star?